The extraction imperative demands that everything be possessed. 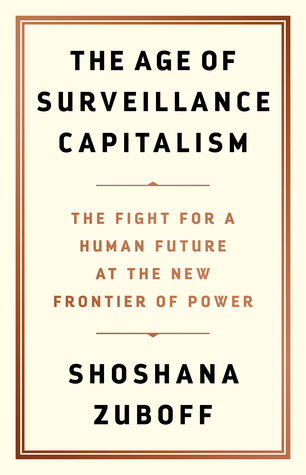 In this new context, goods and services are merely surveillance-bound supply routes. It&apos;s not the car; it&apos;s the behavioral data from driving the car. It&apos;s not the map; it&apos;s the behavioral data from interacting with the map. ... serving the genuine needs of people is less lucrative, and therefore less important, than selling predictions of their behavior. Google discovered that we are less valuable than others&apos; bets on our future behavior. This changed everything. Demanding privacy from surveillance capitalists or lobbying for an end to commercial surveillance on the internet is like asking Henry Ford to make each Model T by hand or asking a giraffe to shorten its neck. Such demands are existential threats. "Are we all going to be working for a smart machine, or will we have smart people around the machine?" "The decisions at Googleplex are made behind closed doors...the power to include, exclude, and rank is the power to ensure which public impressions become permanent and which remain fleeting... Despite their claims of objectivity and neutrality, they are constantly making value-laden, controversial decisions. They help create the world they claim to merely &apos;show&apos; us." Are you quoting from this book?